Tickets are still available for this event. To purchase tickets please contact 360-898-2560 x3. Attend the Billionaires’ Club Annual Masquerade Ball and help get this soiree back on track by trading clues with your guests, gathering information, and solving the crime before the masked menace gets away! Evening wear, ball gowns, Venetian masks, suits, and tuxes are what to wear to this high-class night of masks and murder. 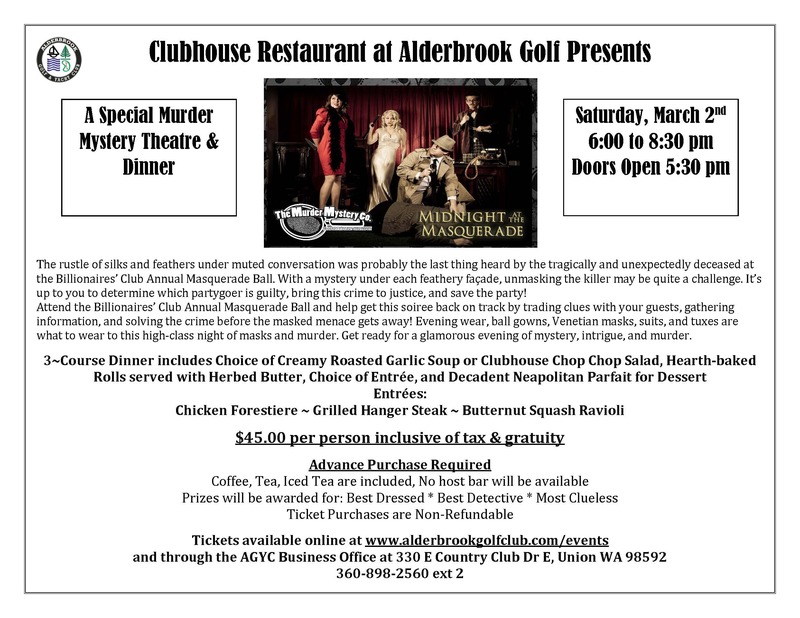 Get ready for a glamorous evening of mystery, intrigue, and murder. $45.00 per person inclusive of tax & gratuity.